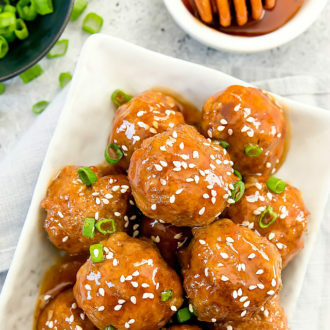 These easy baked meatballs are coated in a delicious honey garlic sauce. 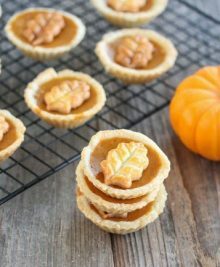 They are great as an appetizer, main dish, or for your weekly meal prep. Lately I’ve been obsessed with meatballs. Especially meatballs covered in a sticky glaze. 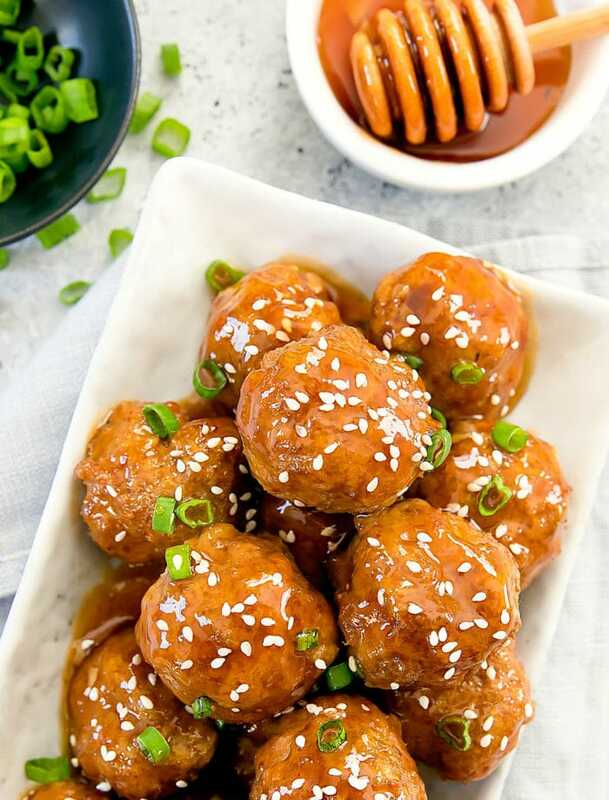 These turkey meatballs are covered in my honey garlic sauce, which gives the meatballs so much flavor. It’s all about the sauce! I couldn’t stop eating them. I used to make meatballs all the time but for some reason I stopped. And now I don’t know why. Homemade meatballs are so easy to make and you can mix and match different ground meats to change things up. I usually do pork, chicken or turkey. The sauce recipe yields enough sauce to coat all the meatballs and have some leftover to mix with rice or for another half batch of meatballs. The honey garlic sauce is sweet with a little bit of spice and savoriness. If you prefer a less sweet sauce, you can reduce the amount of honey. 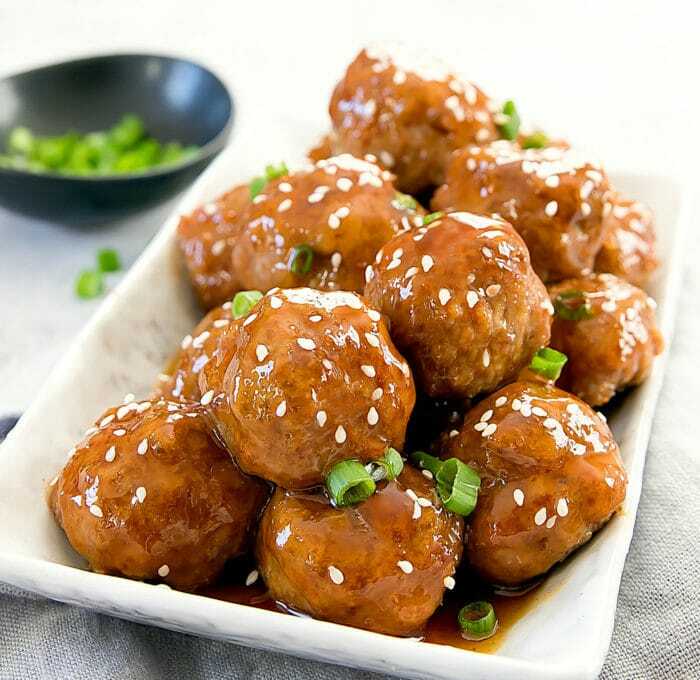 The sweetness of the sauce is balanced by the onion powder, garlic, soy sauce and sriracha. If you plan on leaving any of those ingredients out, you will need to adjust the honey as well so that it is not too sweet. I used low sodium soy sauce. If you wish for a darker glaze or a less sweet sauce, you can use regular soy sauce. The meatballs here are made with lean ground turkey. You can also substitute with ground pork, chicken or beef. Cooking time may need to be adjusted if you use a different meat. I use this 1 ½ tbsp cookie scoop* to portion out the meatballs. 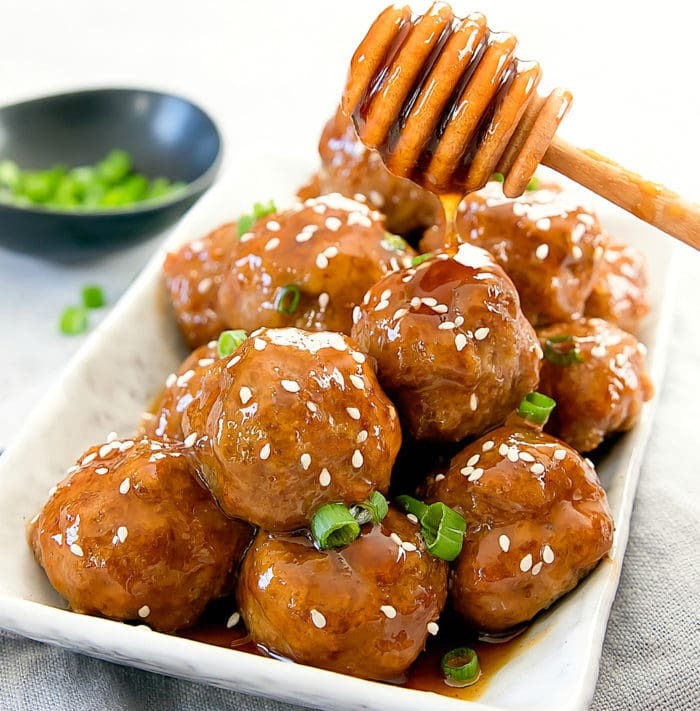 Easy baked meatballs coated in a flavorful honey garlic sauce. Preheat oven to 375°F. Line a large sheet pan with parchment paper. In a large bowl, add turkey, garlic powder, onion powder, breadcrumbs and egg. Stir and mix until everything is evenly mixed. Scoop 1 ½ tbsp of meatball mixture. Use hands to roll and shape into a ball. 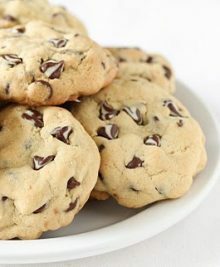 Place onto baking sheet. Repeat with remaining meat, spacing balls about 1/2 inch apart. Bake meatballs for about 20-23 minutes or until fully cooked. While meatballs are cooking, prepare the sauce. Add all sauce ingredients except water + cornstarch into a small saucepan. Bring to a simmer and cook until sauce is slightly reduced. In a small bowl, completely dissolve 2 tsp of cornstarch into 6 tbsp of water. Add to sauce mixture and stir immediately so that the cornstarch does not cook and clump up. Gradually bring sauce to a simmer again and cook until sauce is thickened. This should only take a few minutes. Using a pastry brush, brush meatballs with sauce. Let some of the sauce absorb and then coat them a second time. Garnish with scallions and sesame seeds.